Not too long ago, I made a career move to working for a Cisco Gold partner. My primary duties are to provide delivery of services as part of the post-sale process. My position is a 100% telecommute job–when I’m not traveling. And I travel. A lot! So much, in fact, that I have already (in a short period of time) grown accustomed to living out of a briefcase and my carry-on suitcase. Working from home really is as awesome as it sounds. Before I took this position, I did my homework, and found many bloggers/writers downplaying how great it is to work from home. I’m a special breed, I guess, but I prefer to be home more than anywhere else. Since I’ve worked from home, the time I have spent with my kids has tripled, I’ve developed a healthier diet, and I’m generally a happier person. I can honestly say, I’m finally excited when I wake up in the morning… excited to get to work! Don’t get me wrong, work is still work, and I probably put in more hours now than I did before, but it’s easier hours… if that makes sense. When working from home, it’s important to maintain consistent communication with your manager and/or team. It’s your lifeline to them, and “out of sight, out of mind” definitely comes into play. 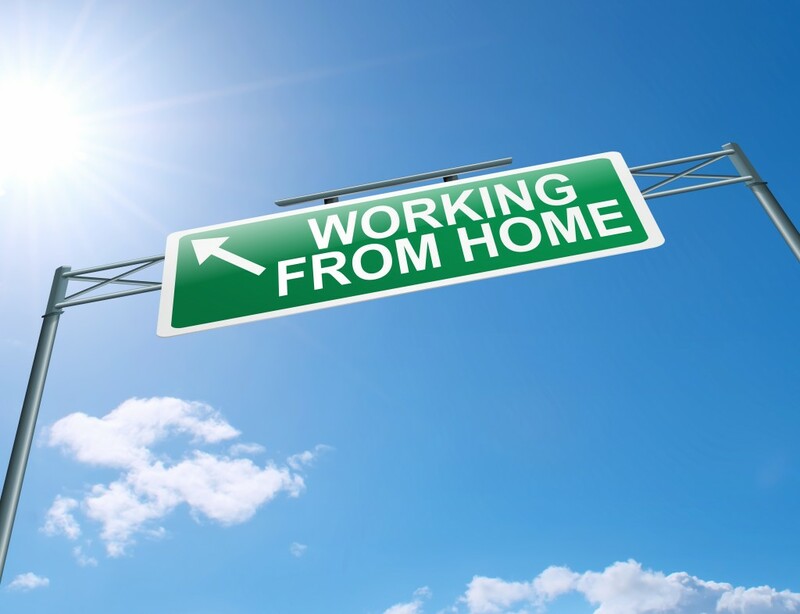 While some may enjoy being forgotten, working from home can leave you out of company events, training opportunities, and possibly even promotions. I have yet to be deprived of these, but I can surely see how it can happen. Finally, when working from home, you really *need* a dedicated workspace. I have a separate office, with a whiteboard, dual monitors, and full rack of Cisco gear (which actually helps a lot with work). All of that is nice, but the most important part of my office is… my door! I love my family, but I could not work efficiently at home without having a segmented portion of the house. It also helps to draw a line between “work” and “play”–when you step out of the office, it’s family time. Inside, it’s all work– and if your family knows that, it makes it easier to get work done. Pack light. Think about what you pack. If you can buy a charger that charges all your accessories, you can eliminate weight/space in your bags. Don’t check bags, if you can avoid it. I would estimate I probably save 20 minutes at each end of my flight by *not* having to deal with checking (or claiming) bags at the airport. Checking them can not only cause you to lose time, but if you fly enough, your bags will get lost. Stay healthy. It’s really, REALLY easy to get into a habit of eating fast food while on the road, especially if your company is paying! I anticipated this, and as such, have made it a point to actually become healthier while living on the road. I now maintain a workout routine in my hotel of choice, and have drastically cut back on the calories in order to counteract the occasional heavy intake that is bound to happen after a dinner (or two) with customers. I’d probably venture to say that I have the greatest job I could possibly have, and that is a fantastic feeling. Life is too short to live it doing a job you hate, so I hope that my story here has given some hope to others that a great job is out there, but it won’t fall in your lap… now go work, study… and repeat… a lot!